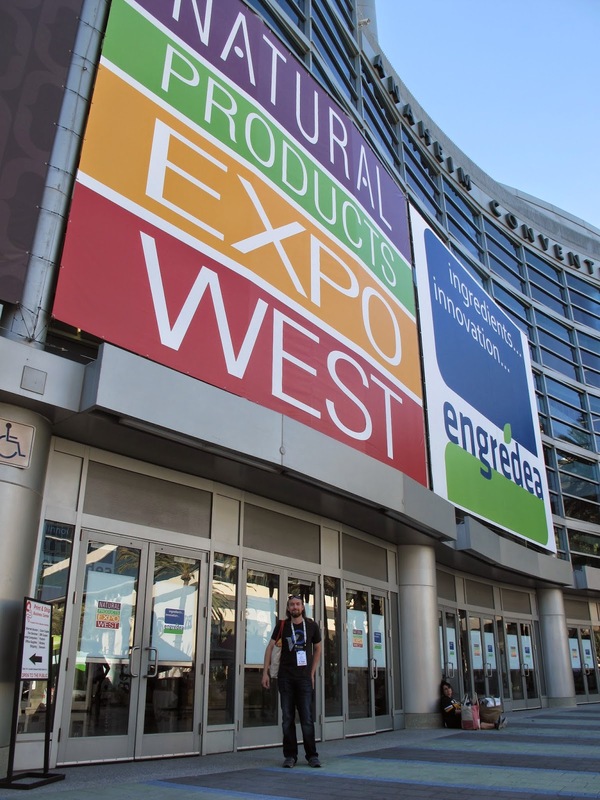 I finally decided to stop being jealous of Quarrygirl's Natural Products Expo West blog posts and go visit the mecca for myself. Safe to say, I was blown away by the size and the quality of the Expo. 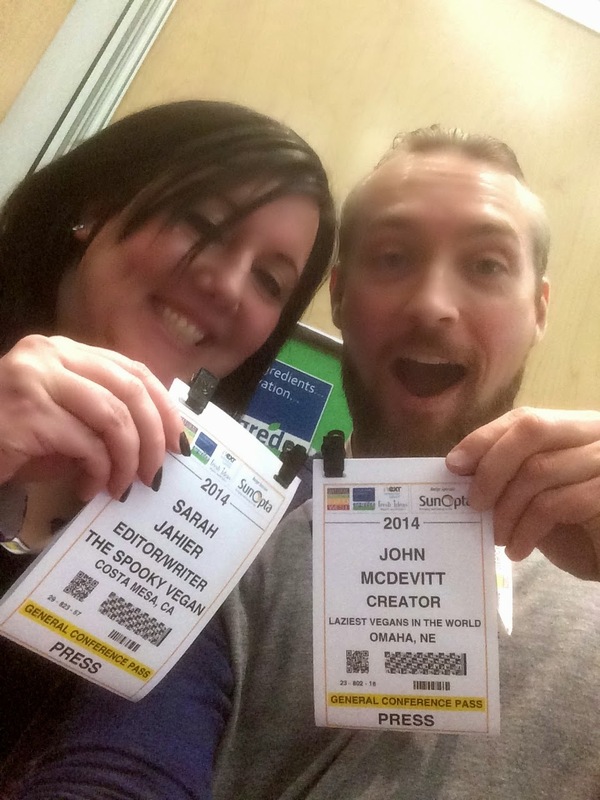 I got to see some great products, meet tons of awesome people and, of course, get my name printed up on a press pass. The Expo is held in Anaheim, which is nice because it's right next to Disneyland, so you can really make a vacation out of it. Also, you're still close to LA (just don't drive there on a Friday night) so you can check out all the Vegan eats and catch a concert. So, day one of the Expo, I really lucked out and caught Sarah from The Spooky Vegan in the press line. This was the first time at the Expo for both of us, so it really worked out because we didn't know what the hell we were doing. Sarah is the best Expo buddy you could ask for! Ever since I've been back everyone is like "what was your favorite product???" 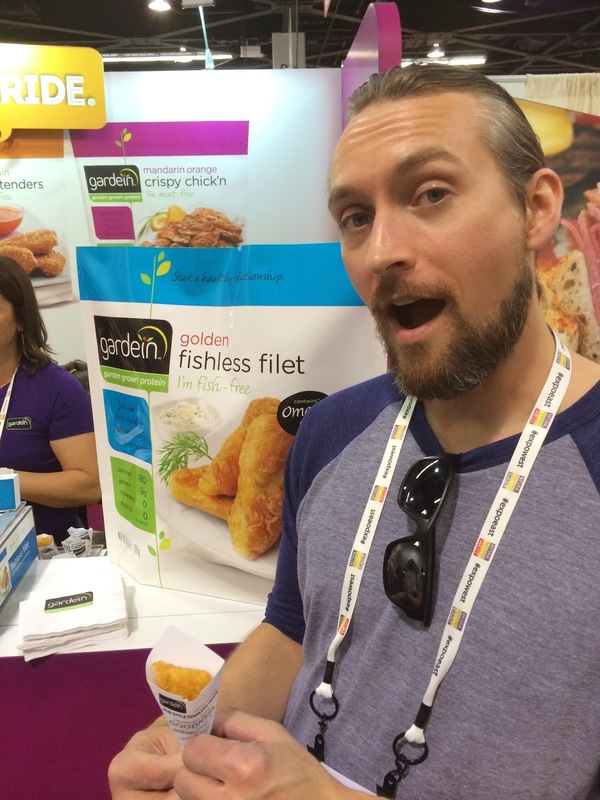 I had a few that I loved, but the Gardein Golden Fishless Filet was my top pick. I still haven't seen it in Omaha yet, but I can't wait to get reacquainted. So what else did I love? Well, Amy's Tofu Breakfast Sandwich was killer. Mr. Dewie's Cashew Milk Ice Cream was off the hook amazing. The Field Roast Hand-Formed Burgers (and Apple Maple Breakfast Sausages) were delish. 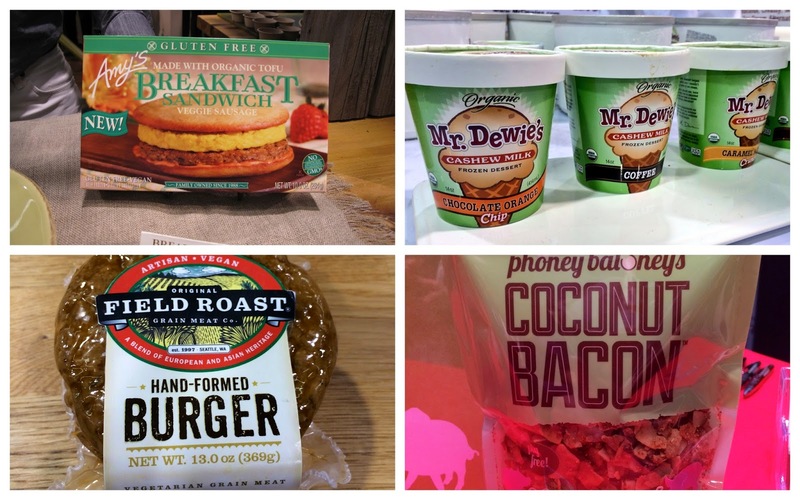 And Phoney Baloney's new Coconut Bacon flavors (especially Apple Fennel) were mouth-watering good! My favorite moment from the Expo is when I spotted Amy Berliner serving food at the Amy's Kitchen booth. I told Isa "look it's Amy!" and Isa was like "what are you talking about?" and I was like "look, It's AMY!" Isa finalllly got it and we were able to snag a pic. I'm happy to report that Amy is super nice and down to earth. And I finally got to tell her I put her through college. Life complete! Shout out to Allie Drew for making it happen. 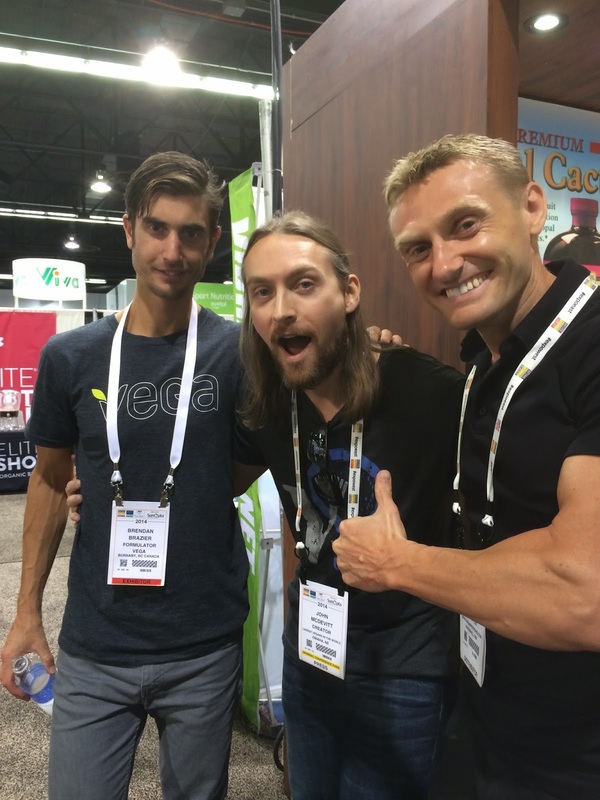 And my second favorite moment from the Expo was getting Vega formulator Brendan Brazier and Vegan Bodybuilding & Fitness creator Robert Cheeke together for a pic. Two cool dudes doing good things in the Vegan community. 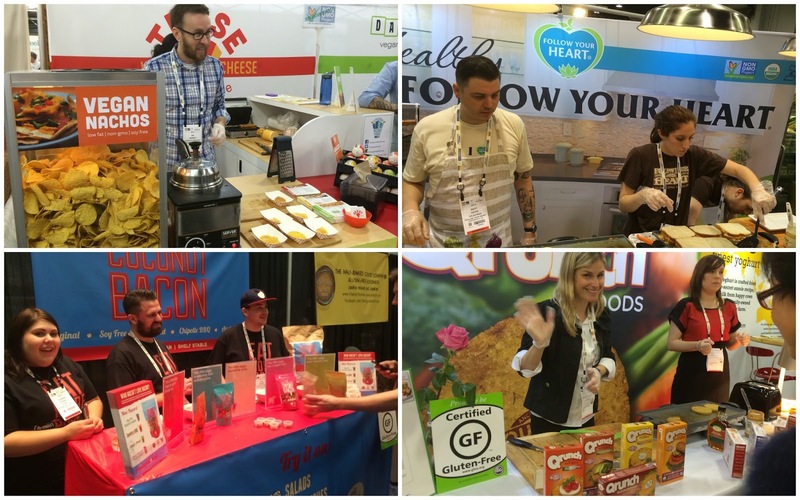 So many awesome booths with great food! The Chicago Vegan Foods peeps brought the nacho cheese pump, so you know this expo is official. Follow Your Heart had yummy grilled cheese sandwiches right off the grill. Team Phoney Baloney was ready to greet the Vegans and all the people who ask "how can coconut be bacon?" One of the Qrunch team members was from Nebraska, gotta love my home state folk! Sarah and I LOVED the Beyond Meat "Taco Beyond" booth. Their tacos were AMAZING. 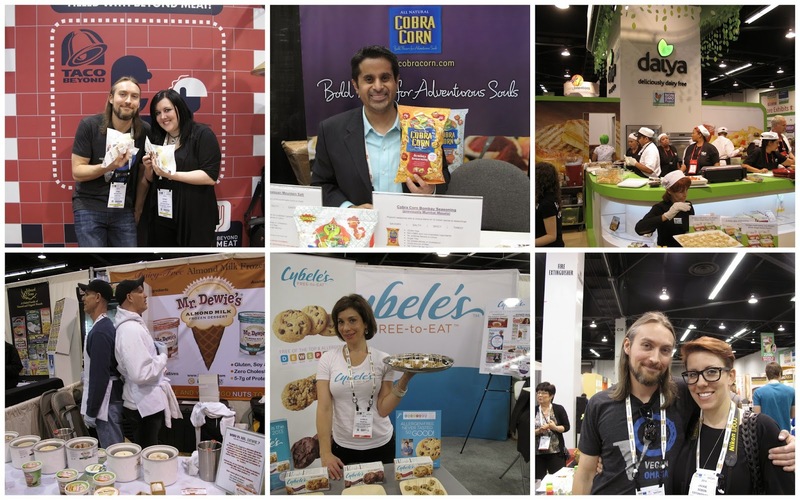 Cobra Corn is a product you need to try, headquartered in Chicago. The Bombay Seasoning Cobra Corn is worth getting shipped from Vegan Essentials. Daiya had a MASSIVE booth with tons of "Daiya Girls" walking around, giving samples. Mr. Dewie's had some really great ice cream and they entertained the heck out of us bloggers. Cybele from Cybele's Free to Eat told me she appreciated my putting up a pic of her cookies on Facebook. I thought that was pretty cool! And it took all three days of the expo, but I finally caught up with Jackie from Vegan Yack Attack. She's always the life of the party! Nature's Path had some cool new things to sample and their rep was cracking us up. Dr. McDougall's had some new soups I hope to see soon. 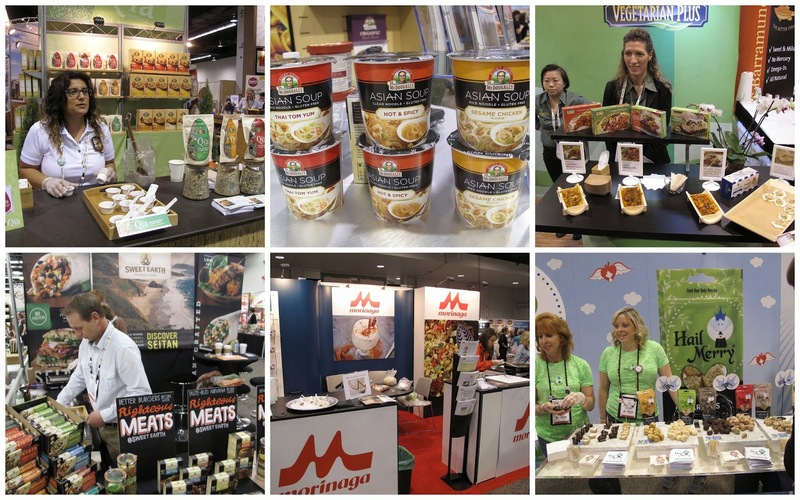 Vegetarian Plus had tons of stuff I've never seen before and I got to sample it. Sweet Earth had a sweet new Hickory and Sage Seitan Bacon that I can't wait to try again. 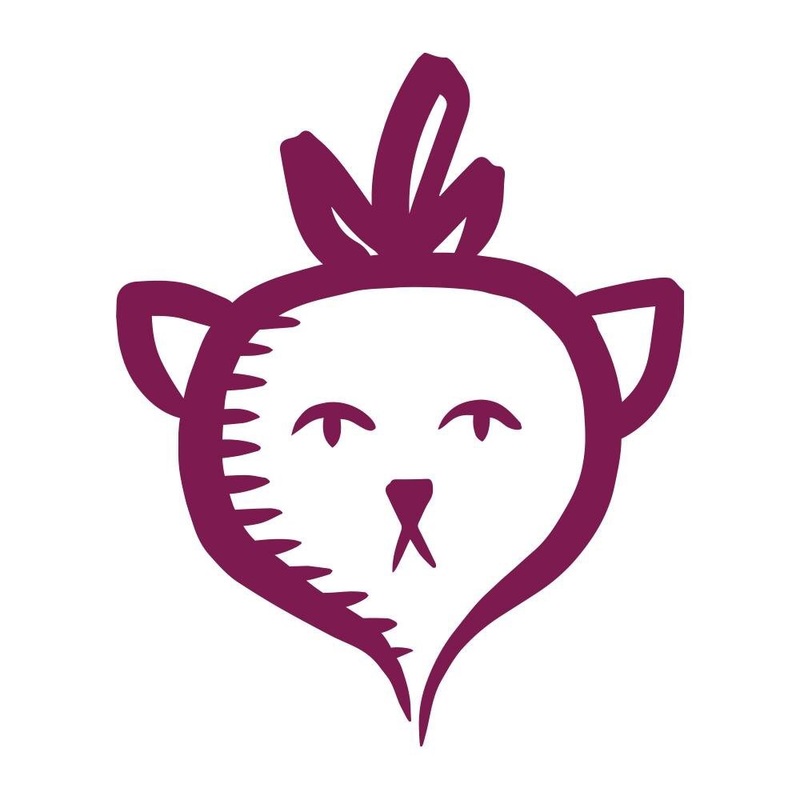 Morinaga had a pamphlet with Terry Hope Romero on it, so we had to chat it up with them. And the Hail Merry ladies were super nice and gave us a heads up that Costco carries them now! Always a treat to see Dan and Nicole from Upton's Naturals. 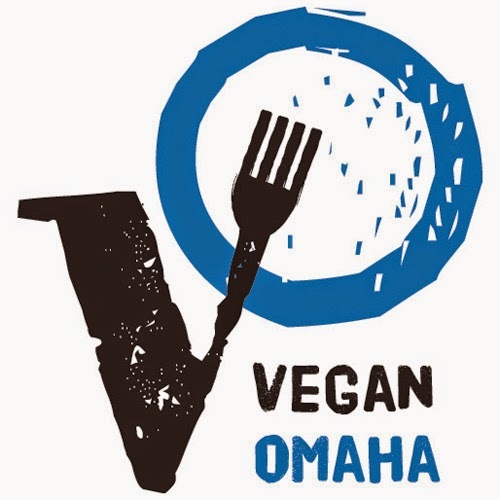 Their Bacon Seitan is in my fridge 24/7. Happy to see the Liz Lovely booth, but they broke my heart by getting rid of the chocolate dipped cookies and pretzels. Wildwood got harassed by Isa about their creamer, I'm sorry. Vega had this nifty dispenser for Vega One. Oddly I didn't take any because it wasn't 6:20 am and I wasn't driving to work. Tofurky had a new gluten-free pizza I'd like to try again. I had a sample, but I need a whole pizza of that stuff. And Peanut Butter & Co. was in the house as they should be. Sjaak's was very sweet and gave us bloggers a metric ton of candy to split amongst ourselves. I love their chocolates so much! 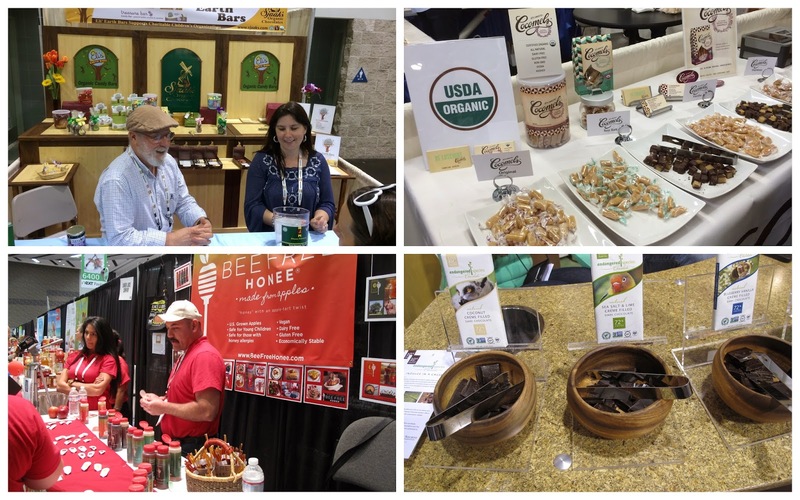 JJ Sweet's Cocomels out of Boulder, Colorado was representing with their amazing caramels. Bee Free Honee gave a taste of everything. The honee is made out of apples, it's really good stuff! Endangered Species Chocolate had this amazing Raspberry Orange Creme Filled Dark Chocolate Bar that was to die for. I can't wait to find it here in Omaha. 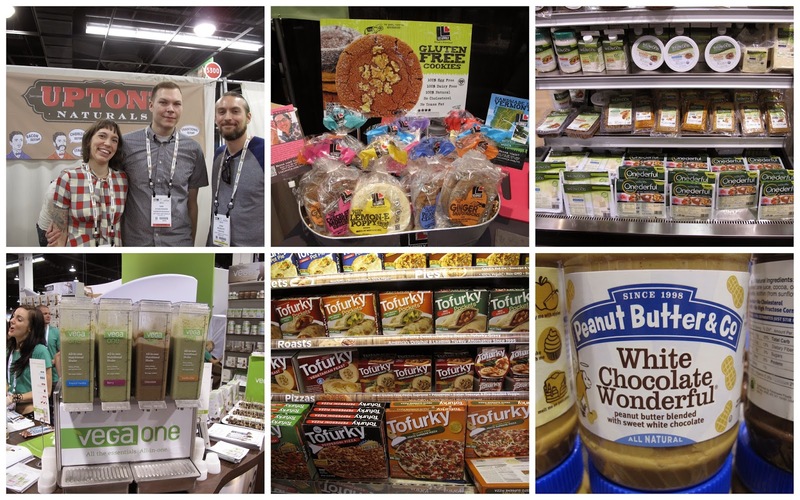 So that was Natural Products Expo West 2014 in a nutshell! I didn't post half of what I actually saw, it really is a lot of stimuli. Lots of food, people and more people. Thank you to everyone who hung out with me and made my trip so special. I look forward to 2015! If you were alive in the 90's, you know what a Hot Pocket is..... a microwavable bun stuffed with assorted fillings. I was more of a Totino's pizza guy myself, but I've had my fair share of Hot Pockets. They were super convenient and perfect to eat on the go. Last year, Tofurky introduced three different kinds of Vegan Pockets: Turk'y Broccoli Cheddar, BBQ Chick'n and Pepperoni Pizza. Tofurky was gracious enough to send me all three Pockets to try. My favorite, of course, was the Pepperoni Pizza and that is the one I'm reviewing today. OMG! These are seriously addicting. With two in a box, I dare you to just eat one. The Pepperoni Pocket filling is straight up old school. It actually reminded me of a pepperoni pizza from my childhood neighborhood arcade. Super flavorful with a sweet zing and perfectly melted cheese. The dough was a surprise, because it isn't the traditional white bread you would get in an a Hot Pocket. Thankfully, I thought the whole wheat pocket complemented the filling perfectly. One word of warning though, the pocket gets HOT! After you microwave it, let it cool for a couple minutes. Better yet, cut it open to let some of the heat out. I might have burned my mouth a couple time because of my lack of patience, wink wink. So if you love pizza, you're gonna go gaga over these. The only problem is that they are a little hard to find right now. Do yourself a favor and contact your grocery store and request them. You'll be so happy you did!